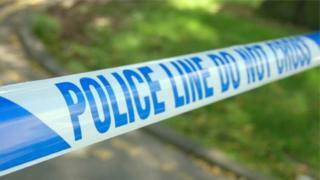 Police are investigating after a woman was mugged while walking in Pembrokeshire. Dyfed Powys Police said the woman was hit from behind while walking alone on a lane in Milford Haven at about 22:00 BST on Tuesday. A necklace and some cash was stolen during the incident, which took place in a lane leading to Brook Avenue. The woman was taken to hospital but has since been discharged. Police are appealing for information.